Today's companies rely a great deal on cloud computing and complex hardware to conduct business. As such, demand is high for IT experts skilled in the tools and techniques necessary to keep these components running. However, demand alone won't get your foot in the door. You'll need a few of the industry's top certifications to get the attention of prospective employers. That's where the Comprehensive IT Career Kickstarter Bundle can help, and it's on sale for 98% off. 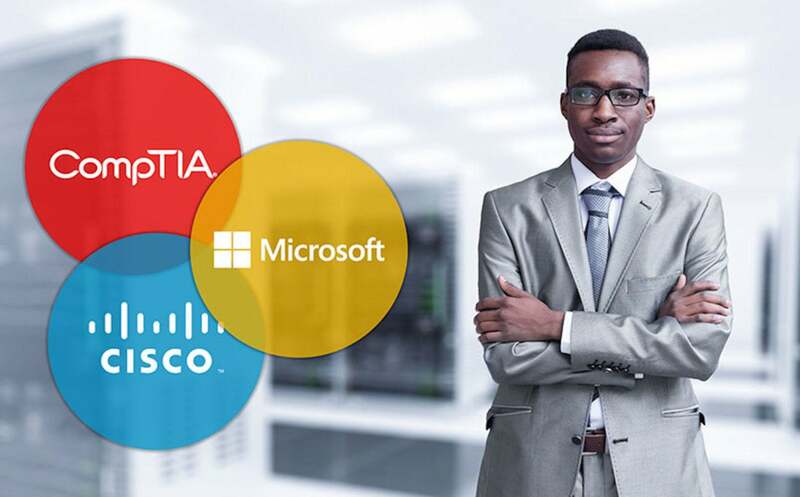 Boasting 11 intensive courses, this collection is designed to help you pass several of today's essential IT certifications from Cisco, CompTIA, and Microsoft. You'll develop the skills necessary to support IT infrastructures, troubleshoot hardware, secure networks, and more as you make your way through the collection. Then, you'll be ready to take on the exams and catalyze your career with the Comprehensive IT Career Kickstarter Bundle. Normally retailing for $3,289, this collection can be yours on sale for only $49.